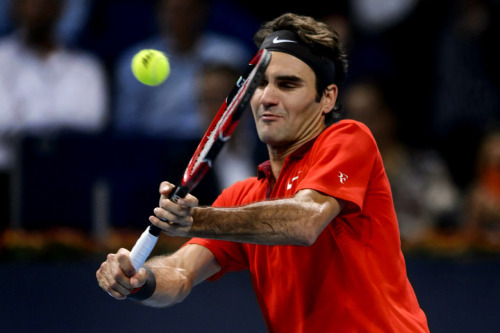 Roger Federer reached his 11th Final at his hometown Basel after defeating the big-serving Ivo Karlovic 7-6 (8), 3-6, 6-3 in a thrilling semi-final played in an electrifying atmosphere. The match lasted 1 hour & 42 minutes. Tomorrow's final vs David Goffin will be the Swiss maestro's 9th consecutive final at Basel, his 10th final of 2014 (in his 14th tournament) & overall, his 123rd career final. The match was played in an electrifying atmosphere with a full house. 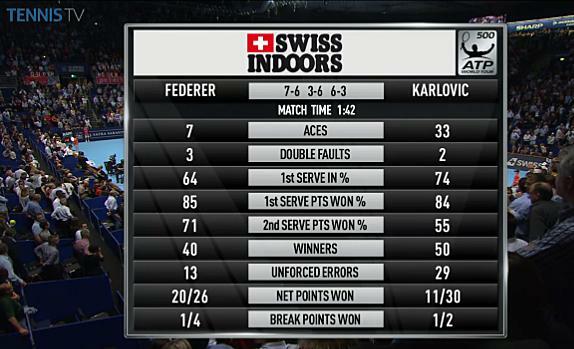 The Swiss fans cheered for every point that Federer won and the match looked like a Davis Cup match. 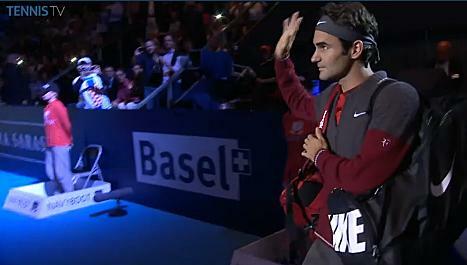 Video by KishoreRF (Mexican wave by the crowd at Basel). 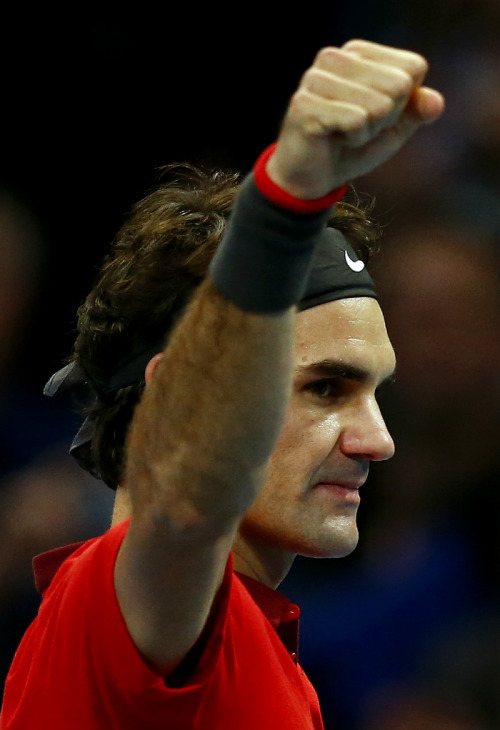 Roger Federer is now the 1st man in the ATP Open era to reach the final of a tournament 11 times. Before today, he shared the record with Guillermo Vilas who reached the finals of Buenos Aires 10 times. There were no breaks of service in the first set. The Croat service looked almost untouchable for the most of the match. Federer saved two set points in a tie-breaker that lasted 18 points. 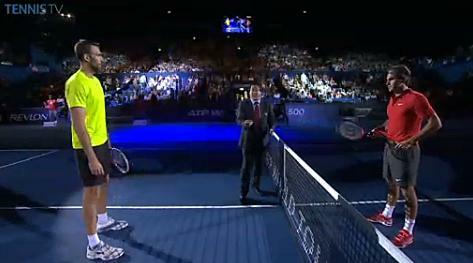 Federer finally won the tie-breaker 10-8. 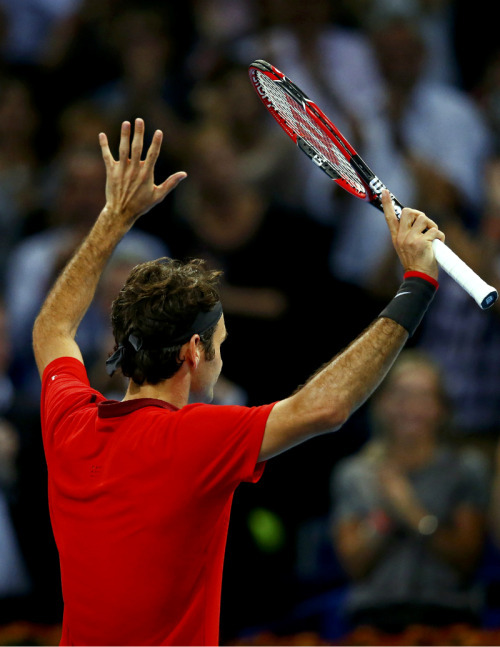 This was the 10th consecutive tie-breaker that Roger Federer won. His winning streak of these 10 TB started from Cincinnati Masters. The Croat's service form was precisely like a tank meant to drop bombs. The 35 year old served four consecutive aces in the 7th game to get to a 4-3 lead. Federer made 42 unforced errors and double faulted as the Croat broke Federer's service just for the 2nd time in their 12th meeting to get to a 5-3 lead. The 6'11" tall Croat then quickly served out the set winning the 2nd set 6-3 in just 25 minutes. The crowd played a big part in the 3rd set. 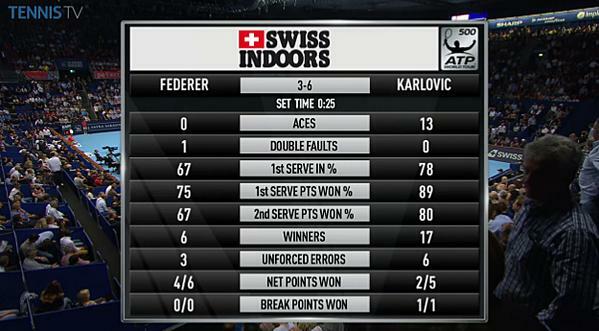 Every 1st serve that Karlovic missed was cheered, every double fault of Karlovic was cheered. Though, to be fair to the home crowd, they wanted their favorite son to win the match badly. Every one present at St. Jakobshalle had just one wish- to see Federer winning and though, it might have looked a bit unsporting to a few people like yours truly, but what would any sport be without crowd support and over-flow of emotions? 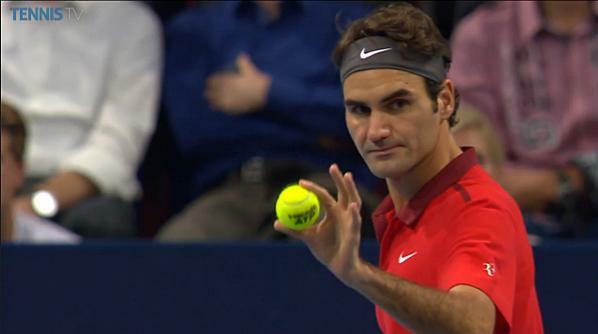 Federer managed to break the Croat's service in the 4th game and got to a 3-1 lead. That one break of service was sufficient as Federer served out the match in the 9th game. Federer today became the first man in the ATP Open Era to reach finals of a tournament 11 times, breaking Guillermo Vilas's record of 10 finals at Buenos Airres. 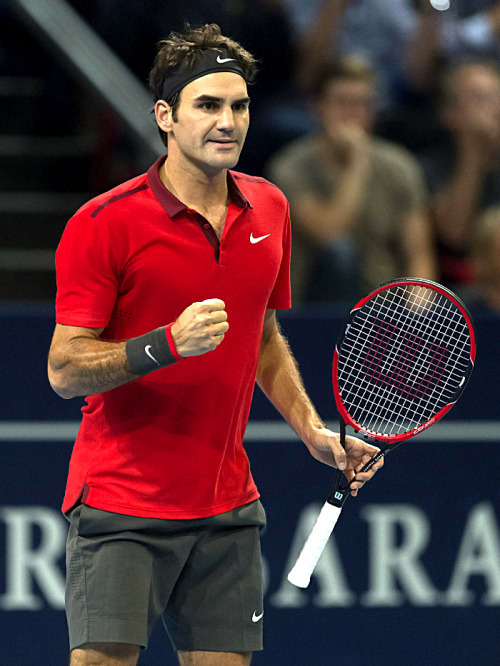 Federer's 55th match win at Basel, he is now 55-9 in Basel. 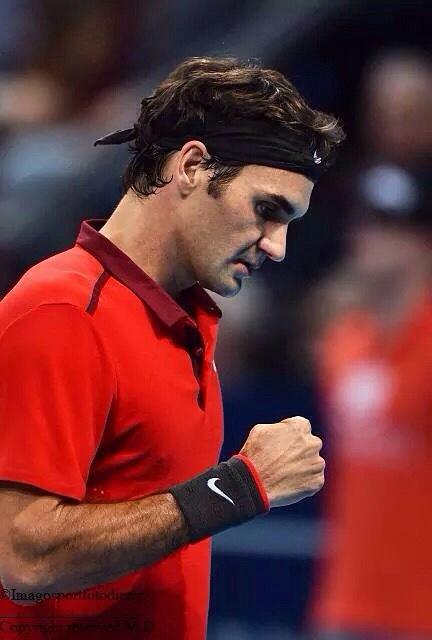 65th match win of 2014. 888th match win against a right handed opponent. 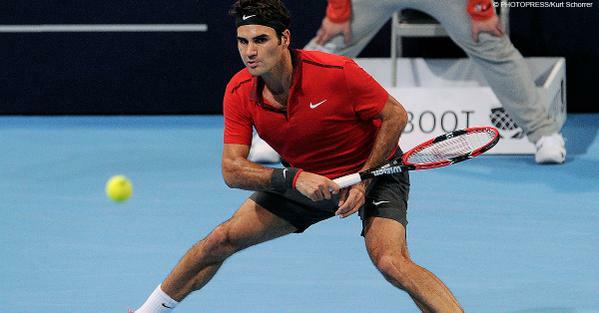 Federer has mow won the first set in 52 matches at Basel & he's gone on to win 51 of those matches. His only loss after winning the 1st set was against Nalbandian in 2002. 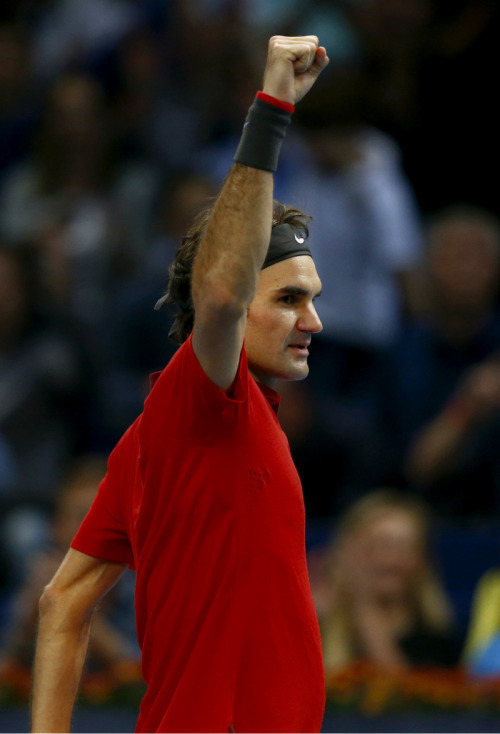 Tomorrow will be Roger Federer's 9th successive final appearance (missed 2004, 2005) at Swiss Indoors (& overall his 11th Final in his 15th appearance in the last 17 years) at Basel. The following are the tournaments where in Federer has reached the finals, most number of times. 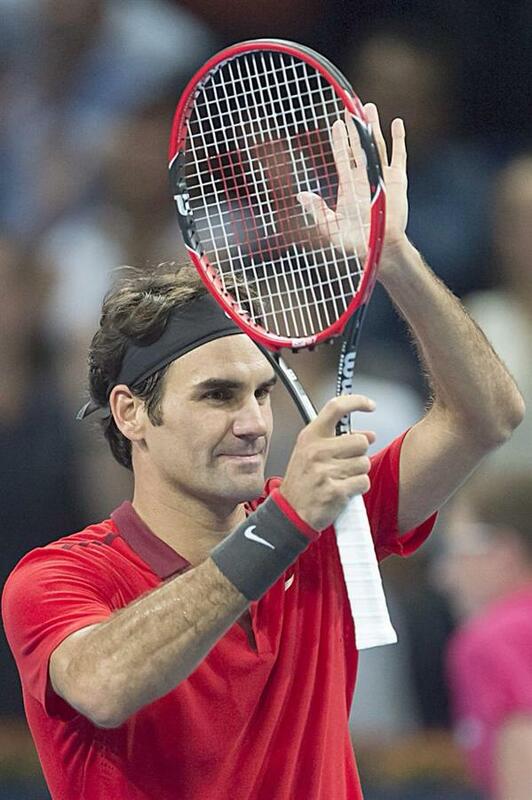 Basel: 11, Wimbledon : 9, Halle: 9, World Tour Final/Tennis Masters Cup: 8, Dubai:6, US Open: 6, Cincinnati: 6. Federer is now 11-1 in Semi-finals at Basel so far in his career (only loss at SF was in 2002) & 5-5 in finals before the start of tomorrow's final. 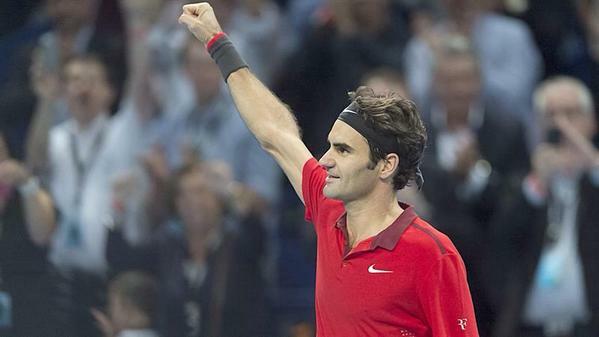 Tomorrow's final will be Federer's 10th final of 2014 (4-5 in 2014). 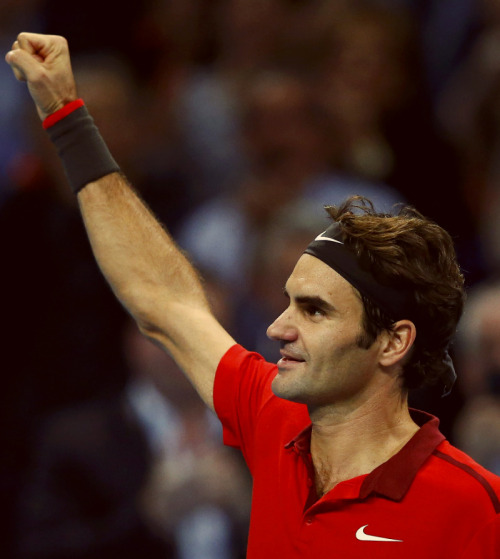 Tomorrow's final will be Federer's 123rd career final (81-41 in finals so far). Roger Federer today served out his 8850th ace. The following is the leader-board in terms of aces served in the open era: Goran Ivanisevic: 10,183 aces, Ivo Karlovic: 8990* aces, Roger Federer: 8852* aces. Since turning 33 on 8th August, Roger Federer has played 11 tie-breakers, he's won 10 of those & lost just one (& that was against Jo-Wifried Tsonga). This the 3rd highest tie-breaker winning streak in Federer's career. 1) 15 - Started from Tokyo 2006 to Dubai Duty Free Tennis championships 2007 , 2) 13- Monte Carlo 2007 to Toronto 2007, 3) 10* - started from Cincinnati Masters and currently ongoing. 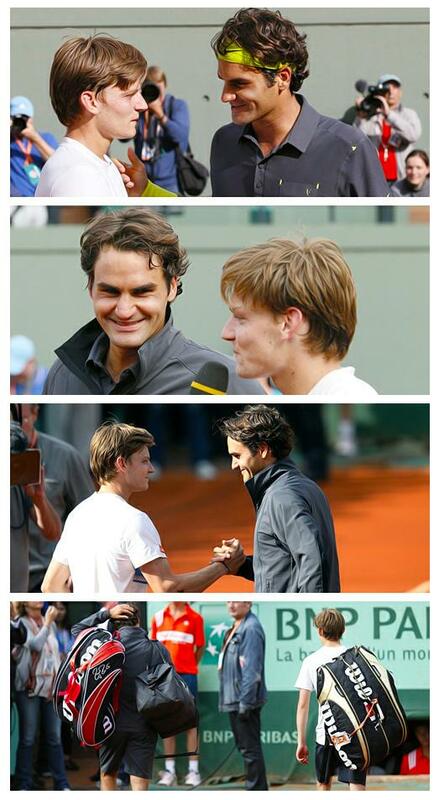 Roger Federer and David Goffin have played only once before and Federer won the 4th Round match in 4 tight sets. The match starting time is 14:30 CST. This was never going to be a match filled with long rallies with Ivo Karlovic being such a giant of a man, packing such a powerful serve on the other side of the court. It promised to be a David and Goliath type of contest, with the more nimble and agile Roger Federer waiting his chance to capitalise on any dip in the quality of the serve of his opponent. Although Roger spent many of Karlovic's service games walking from side to side of the baseline as ace after ace thundered past, he did manage to make some impressive returns, which was a feat in itself. It was a tense match from this fans' point of view. 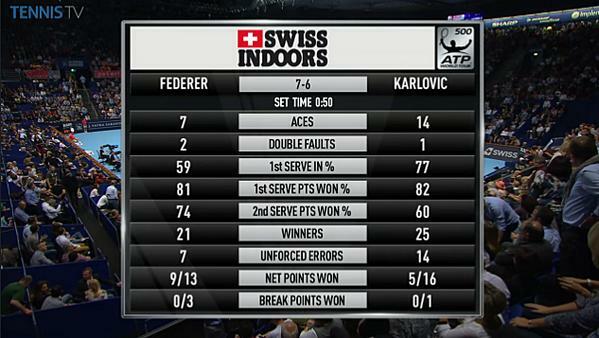 When Karlovic dropped his serve in the third set enabling Roger to get a break, the relief was palpable. The Federer fans filled the court with a barrage of noisy encouragement, including a Mexican wave at one point! Thankfully Roger held his own service games to win though. The Final tomorrow versus David Goffin promises to be a very different match with a lot more content as far as point construction and shot making, which for me is something to look forward to. One thing I have wondered about in the past, which was well illustrated today, is whether the ATP should stop players wearing bright yellow clothing which matches the colour of the ball? Surely it must make it hard for the opponent to see the ball at times ... Unless it moves so fast that really doesn't matter. Just a thought. Great update, pics, videos, etc. Great match! Great win by Roger....tough with that big "ace" serving he had to face. My question is, however, where has Mirka been this week? No sign of her at all? Hope all is well! Yes I have been rather concerned, wondering where Mirka is this week. Hope she and the children are OK. It's unusual for he not to be there, specially in Switzerland.